Planetary geologists studying samples returned during the Apollo missions have identified the first terrestrial meteorite, a piece of Earth ejected by an impact. A team of researchers led by Jeremy Bellucci of the Swedish Museum of Natural History studied a small felsite (granite) fragment in Apollo 14 breccia 14321. 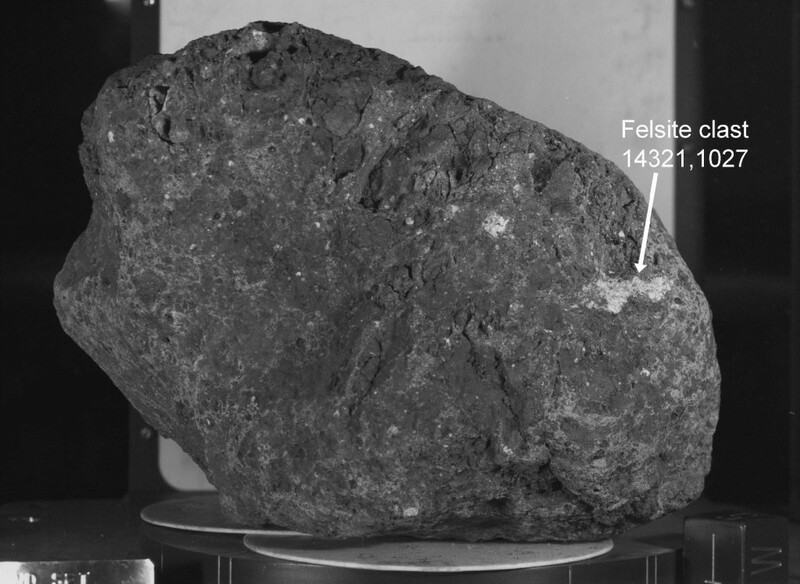 Geochemical study of the felsite and its component minerals indicate that it formed under conditions not found on the Moon, but common on Earth.